This is a men's modern classic. This solid curb bracelet is handsome, elegant, and easy to wear and has a length of 22cm. 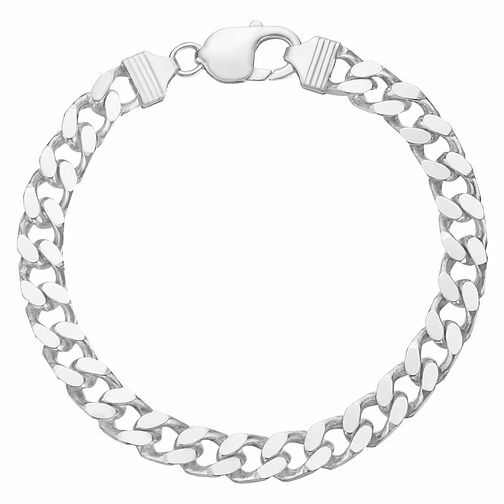 Men's Silver Bracelet is rated 4.7 out of 5 by 3. Rated 5 out of 5 by Anonymous from One that every men should wear... Bought this as a gift to my partner who was really happy about it. It's a really nice looking and good quality piece of silver! Would recommend to a friend for sure.